South Central Kansas has a lot to offer! Underhill Farms is nestled in the heartland of America, and exemplifies life in the country. There are many things to do in South Central Kansas. Visitors enjoy fishing the nearby lakes, taking tours of various historical places in the area, and visiting the many antique shops and outlet malls. 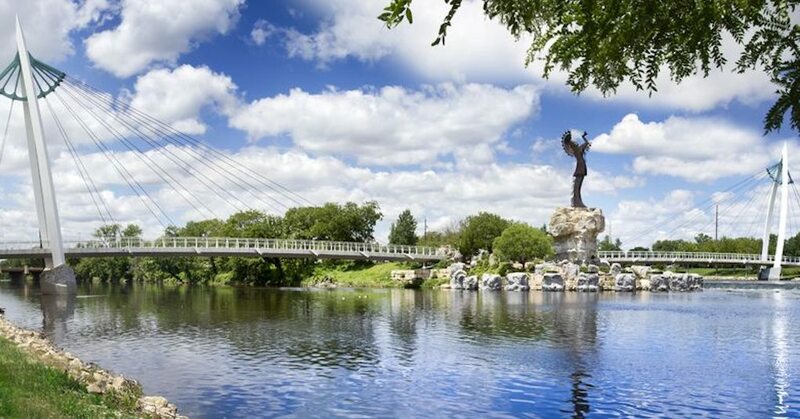 If you’re in the mood for some city life, Wichita is just 35 miles south on highway 135. Quail Valley Farms – Located just five miles down a scenic Kansas road. Take your aim at sporting clays, or arrange a full scale hunt for pheasant and quail. Wichita Farm and Art Market– Over 16 shops filled with fresh produce and the wares of local artists. Mennonite Heritage Center – The tidy town of Goessel, 12 miles east, was founded by Mennonite farmers, and now holds this worthwhile museum at 200 N. Poplar Street (620)367-8200, where numerous buildings, including two schools, a barn, and a bank, have been moved for preservation. Bethel College located in North Newton, just 15 miles down highway 135 offers an extensive Mennonite Library and Archives, as well as various activities throughout the year for its students and the community. Kechi Playhouse– Located just north of Wichita in Kechi. Drama, comedy and musicals presented by regional talent in the setting of an old church. (620) 744-2152, 61st Street North and Oliver. McCormick Deering Days Museum in Inman Kansas – 101 N. Main 316-585-2226 – See collections of antique farm equipment and displays focusing on development of Inman. Steinfors Mansion-119 N. 2nd in Lindsborg, Call 785-227-4456 – Step back in time to Victorian elegance at its finest. Call for appointment. Birger Sandzen Memorial Art Gallery-401 N. 1st, Call 785-227-2220 – Permanent collection of Sandzen’s work. Wed. – Sun. 1 p.m. to 5 p.m.
Alexanderwohl Mennonite Church– 1 mile north of Goessel on K-15 Call (620) 367-8192, A historic church constructed in 1886 with timbers from early immigrant houses, this church is one of 3 active Mennonite congregations in the Goessel community. Family origins can be traced to 16th century, tours available by appointment. Tattered Rose Antiques – In Goessel, at the corner of K-15 and Main (620)367-8257 by appt. William Schaiffeer House – 312 E. Grand in Hillsboro, Call (620)947-3775 12-room home is an example of Midwestern prosperous merchant family life at the turn of the century. For more tourist information, visit The South Central Kansas Tourism Website.